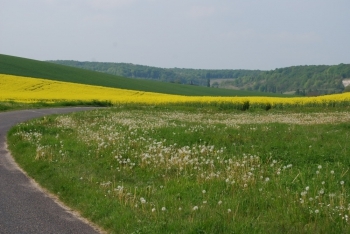 Every year in May, the yellow fields scattered all around in the countryside of Normandy intrigue visitors. – What are they? they keep asking, struck by the vibrant color. No other crop induces so many questions. – Rapeseed fields, I answer, trying to speak as distinctly as possible. When visitors of Giverny come from a region of the world where rapeseed is unknown, they frown. They don’t want to believe that this is the real name of the plant. I must be wrong. They ask me to repeat. I explain all what is done with rapeseed, oil, the green gasoline we call diester, and food for the cattle. I would so much prefer to answer, well, it is mustard for the french fries, you know! 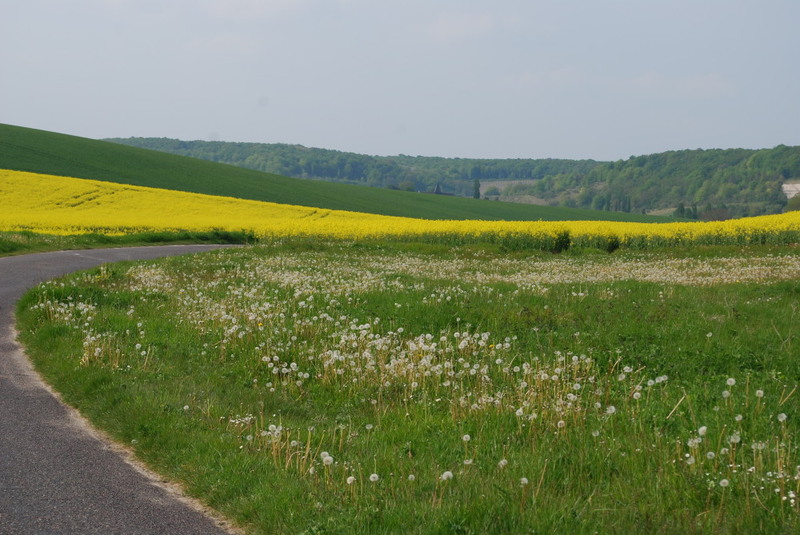 I long for next month, when the rapeseed will be blown, and the flax in blossom. – What are the pale blue fields? people will ask, and they will be only too happy to see where their linen come from.